SUP is an acronym that stands for “stand up paddle boarding” and it is taking the water sports world by storm. 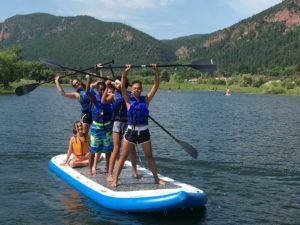 Stand up paddle boards offer a fun, relaxing way to play on the water. Paddle boarding delivers a full-body workout and thus has become a popular cross-training activity. UpaDowna, a Colorado Springs based outdoor adventure nonprofit, will be on hand to provide this opportunity to you and your family after the balloons take off. A fun and easy activity for all, you don’t want to miss this opportunity! With a SUP rental and all of the gear provided, you can paddle Lake Prospect during the Labor Day Lift Off! Kids 10 and under need to ride with an adult on the same board and are free. 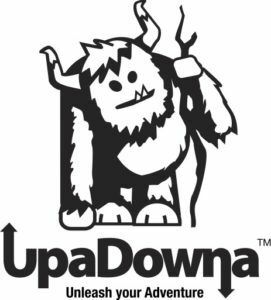 UpaDowna will be located on the North end of Prospect Lake from 10am-4pm. Please remember that the lake is closed this weekend to other public lake activities outside of the wakeboarding event, SUP rentals, and SUP Yoga classes.